Virgin Atlantic to acquire Flybe? Sky News is reporting this evening that Virgin Atlantic is in talks to acquire Flybe. See their report here. As we covered last week in some detail – see here for example – the airline has invited offers of interest from other airlines or investment groups. There is obviously some logic in a deal, although less than you might think. Flybe sold the bulk of its Gatwick slots of easyJet in 2013 so there is a limit to how much ‘feed’ it can provide to Virgin Atlantic there. 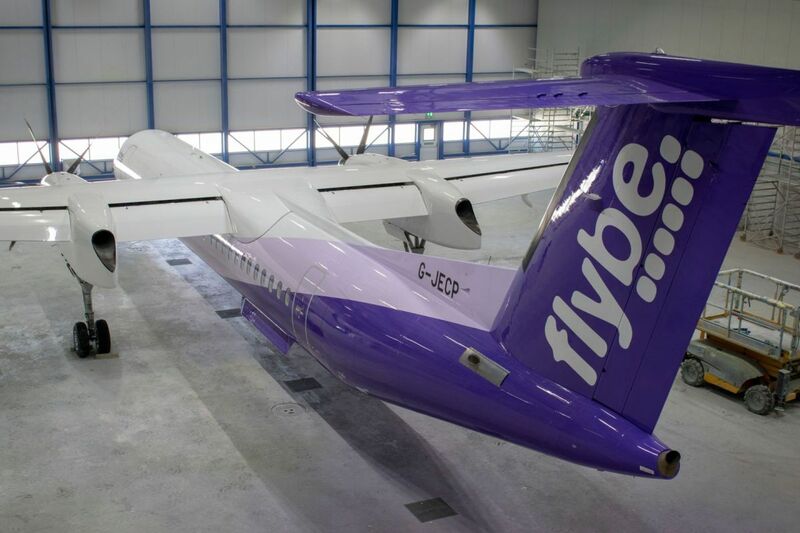 Flybe has routes from Aberdeen and Edinburgh to Heathrow (which Virgin used to run under the Little Red brand) and will start Newquay to Heathrow next year. More importantly, Flybe is already a Virgin Atlantic codeshare partner on many routes, especially out of Manchester. Here is the Virgin Atlantic / Flybe codeshare list. I would be very surprised if other rumoured bidders such as Stobart would end these deals, although I accept that Virgin Atlantic may believe that the modest cost of buying Flybe means it is not worth taking the risk. The codeshare only covers a small part of the Flybe route network, however. Unless there is an opportunity to gain a large number of new slots at Gatwick it is difficult to see how much extra feed Flybe could bring if it was wholly owned by Virgin Atlantic. Virgin Atlantic is also in the middle of a restructuring of its own, with Air France KLM in the final stages of acquiring a 31% stake. This has already had to be overhauled once in order to deal with the carve-out of the assets of Virgin Flying Club into the new Virgin Group Loyalty Company, in which Air France KLM will have no stake. We then come to Avios. It isn’t clear how much business the use of Avios drives to Flybe, but the airline clearly believes it is worthwhile or it would not be continuing with the deal. We can be 99.9% sure than the acquisition of Flybe by Virgin Atlantic would see it drop Avios and adopt Virgin Flying Club miles as its loyalty currency which is likely to be a minor negative. Fun and games ….. let’s see how the situation unfurls over the next few days. Get £400 off £800 with an Expedia Black Friday package deal - between 9am and 9.15am ONLY! I also see no real immediate synergy for Virgin. Perhaps it is more of a speculative purchase. The additional money could restructure Flybe into a profitable core. And who knows what might happen in future? I’m guessing that Virgin might rather own this simply so someone else doesn’t. Could it be a cheap way to get some more planes? Virgin Australia have some regional operations, but it would be some journey for a Q400 to get there! Virgin Atlantic owning planes doesn’t mean Virgin Australia can use them – they are completely separate airlines. So IAG will now also be interested in acquiring Flybe by the time we are munching our cornflakes…brings a whole new meaning to Black Friday! I suppose Virgin could feed AMS and CDG from the region’s but KLM already has that well covered. OT @BJ – did you manage to make it to the Radisson event in Edinburgh this evening? Work ran over so I couldn’t make it in the end. No, same here. I had to be in Glasgow all day and it was already past 7 when I got home. Ah cool – off to Glasgow myself tomorrow! Would be great if LHR routes came back with Virgin – currently for Flying Club redemptions have to make separate RFS bookings to LHR as the Flybe SQ/VS codeshares only apply to cash tickets. Anything that hastens BA’s implosion is good in my books. Like that is going to happen…. they are making more and more money, IAG is very strong. As for VS well, not exactly a huge cash cow os it? Any news on whether the new Flybe NQY-LHR route will have a BA codeshare? This is currently an option on the NQY-LGW route that will be replaced by NQY-LHR, and allows for through-ticketing on certain BA routes via LHR, but transferring between LHR and LGW makes this too tedious to be practical. A NQY-LHR BA codeshare, combined with the planned service increase from 3 to 4 daily NQY-LHR flights, would make the rest of the world much more accessible to those of us living in Cornwall! I got it yesterday on iPad too. Still trying to find a way of knocking this on the head without having to call in the 30 day guarantee on the hosting package. also yesterday on my Android phone. when clicking 3rd article in a row it switched to desktop display and stuck to desktop format. So all works out in the end! If Newquay goes direct to LHR, it can support 4 flights a day/ attract many more passengers. LHR (& its connections) are the key. You’re avoiding a 4hr car journey. So why would you have flown to Gatwick, probably 2.5 hrs door to door, then p’d around trying to get your coach (cheap) or taxi (blimmin expensive) connection to LHR? Another hour & hassle. No, Newquay to LHR cannot support four flights a day, otherwise it wouldn’t need so much subsidy. If it could support it, people would pay the appropriate rate and there would be no need for subsidy. I think you might mean that there would be enough passenger demand to fill four flights, as long as the price was subsidised. Just because it has qualified for a subsidy doesn’t really mean what you conclude. It *needed* the subsidy flying into Gatwick, which is not such a good airport for connections therefore always likely to be a so-so choice. So Flybe have pulled a fast one, NQY-LHR will fly & be very profitable & the subsidy is just bunce on top. There are actually direct flights from Germany to Newquay in the summer! Depending on where your travels may take you in the coming year, chances are fairly good that you will be able to keep up with the exploits of the local version of Dr. Martin Ellingham in some form or fashion. Doc Martin has been sold to more than 70 ­countries, with seven of the biggest besides America being France, Germany, Spain, Holland, Greece, Poland and Russia. You are making a large assumption that the route will be profitable, and does not need the subsidy. Any facts to support this? The fact that there may or may not be enough people to fill four flights a day is irrelevant to profitability. We’ll never know unless ticket prices keep going up & the plane keeps flying with good load. Hope flybe take Virgin interest with a pinch of salt. Virgin have a history of feigning interest then pull away at the end. Think when BMI was sold. Well, if it goes through this would be fantastic news. Feeder codeshares could go to/from Manchester as well as Gatwick and Heathrow I guess. maybe FlyBE could be repositioned as a feeder for KLM/AF … as well as Manchester traffic for VS ?! or it’s just a ruse to increase the price / encourage BA to buy a loss making subsidiary ! I can see it working, although there would involve some upheaval. I think the branding could even survive short term, and essentially AF / KLM / Flybe / Virgin forming their own decent sized coalition to drive business from BA. From the perspective of a BA Silver FF, typically flying LON to GLA or EDI 10 times a year (Club & ET), US once or twice (WT+) and Europe 5 or 6 times (Club & ET) id quite like the chance to have a different loyalty scheme that would make sense for my travelling. Getting an incentivised status match from Virgin/Flybe could win my bookings quite quickly, as BA just aren’t quite all that anymore (and move my stubborn aversion to EZY/RYA for European trips when the prices are far lower). Did you mean “TO easyJet” rather than “of”?